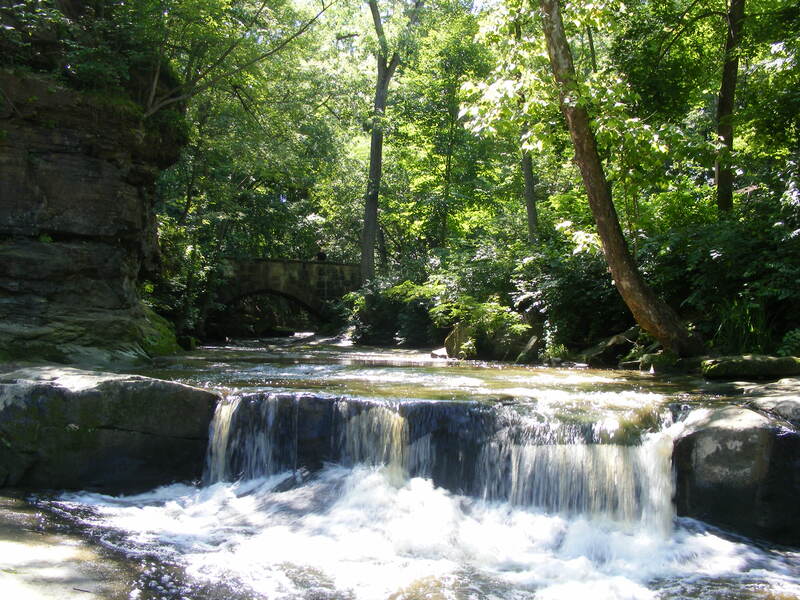 The Cleveland Plus region is surrounded by spectacular park systems and is referred to as the “Emerald Necklace”, the region’s most beautiful wonder. The theme for this exhibition is “A Ring of Green.” Please enjoy the works of these local artists. Zack and Sara Bright are a husband and wife photography duo based in Cleveland, Ohio. Most of their images fall into a landscape or nature setting category, but Sara has a soft spot for macro and photojournalistism, and Zack has been known to shoot architecture and abstract images. Sara grew up shooting weddings with her father and gained her knowledge of composition from ninja like training starting at a young age. Zack is more of a technical geek who enjoys irritating Sara by fiddling with tripods and camera settings for long periods of time. We were drawn together by our passions for travel, the infinite variety and beauty of the natural world, and delicious cheese. To see their current gallery please visit their website at www.bright-images.com. For more info on webinars, tutorials, photo walks or other various tomfoolery please visit their blog at brightimages@wordpress.com. 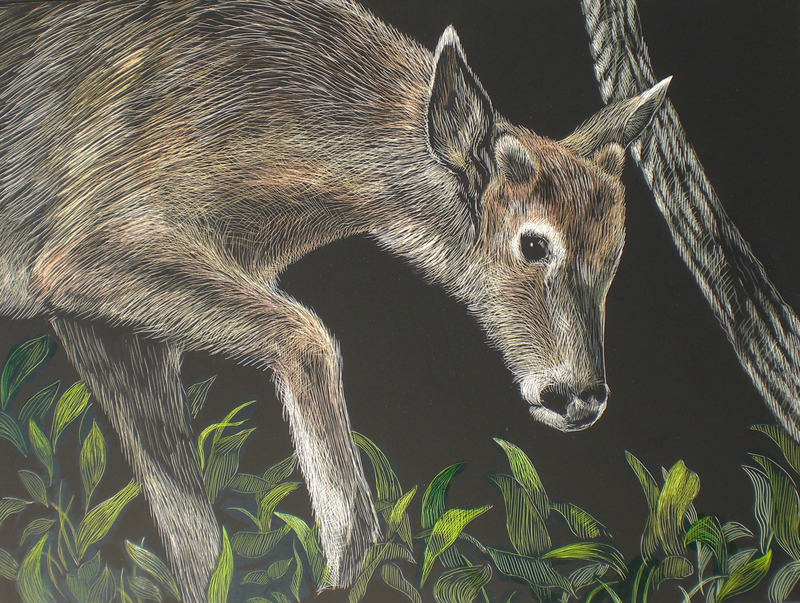 Sophie Cayless has drawn and painted all of her life, and specializes in nature illustration. 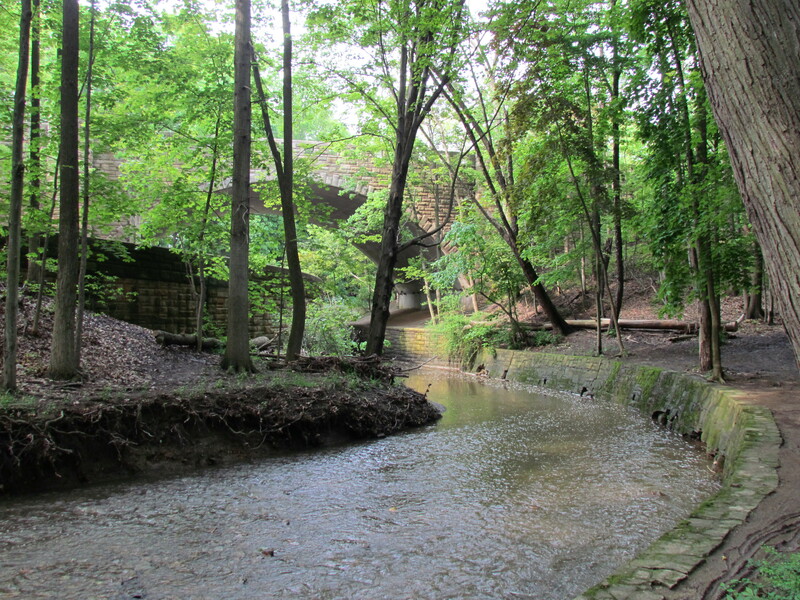 As a park ranger and naturalist, she learned and taught about the diverse natural resources of the Cuyahoga Valley and Cleveland Metroparks. She wrote and illustrated a children’s book for the Cuyahoga Valley National Park, and has created illustrations for many other park areas. 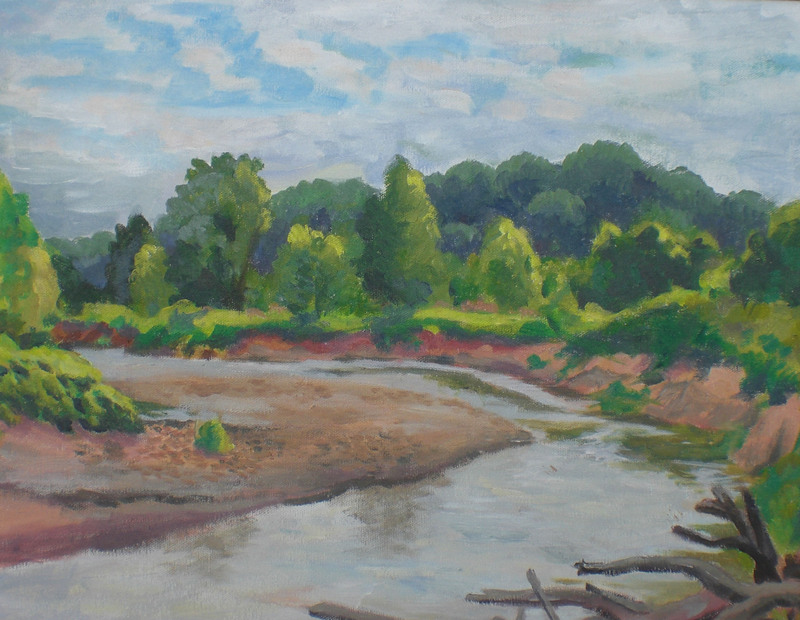 She also enjoys “plein air” painting, capturing many landscapes of the local area. She is a member of Brecksville Studio B, the Crooked River Gang of Artists and the Society for Children’s Book Writers and Illustrators. 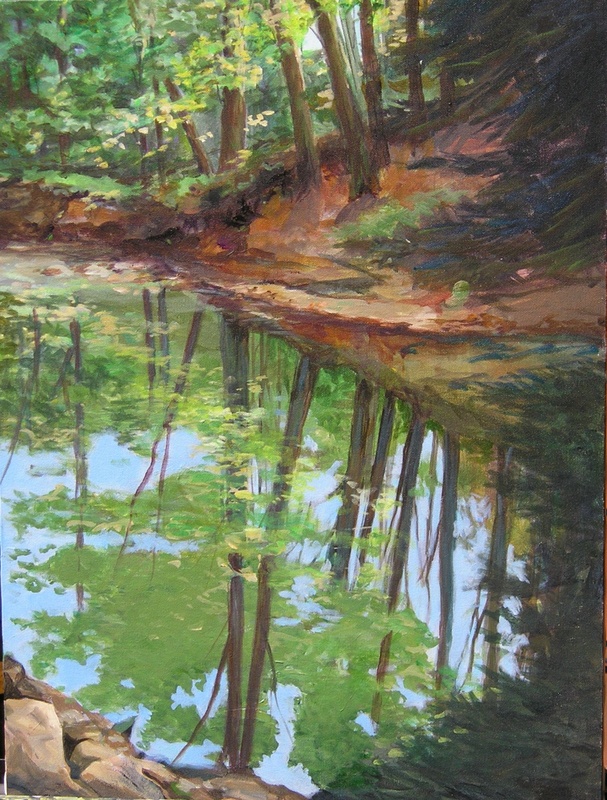 Artist Statement: The Emerald Necklace and Cuyahoga Valley feature beautiful vistas and diverse landscapes. With a closer look, these areas reveal bountiful plant and animal life. 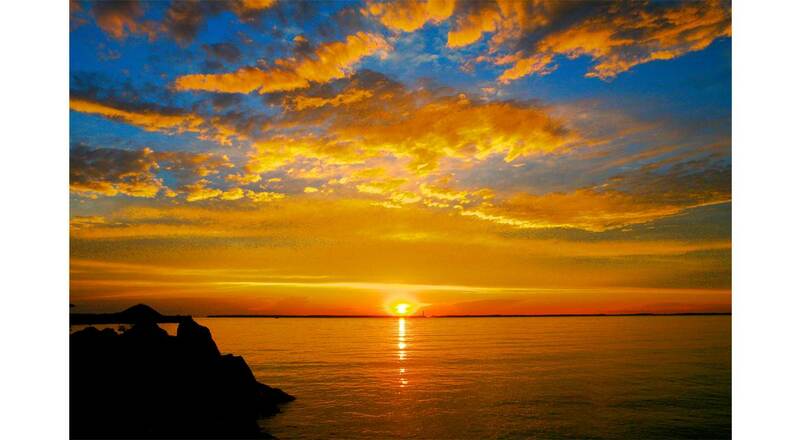 These diverse images will give viewers a sampling of the area’s treasures. For more information please contact Sophie at scayless@mailstation.com. Romeo Coleman was born and raised in the inner-city of Cleveland, Ohio. He attended Cleveland Public Schools and graduated from Glenville High School in 1966. 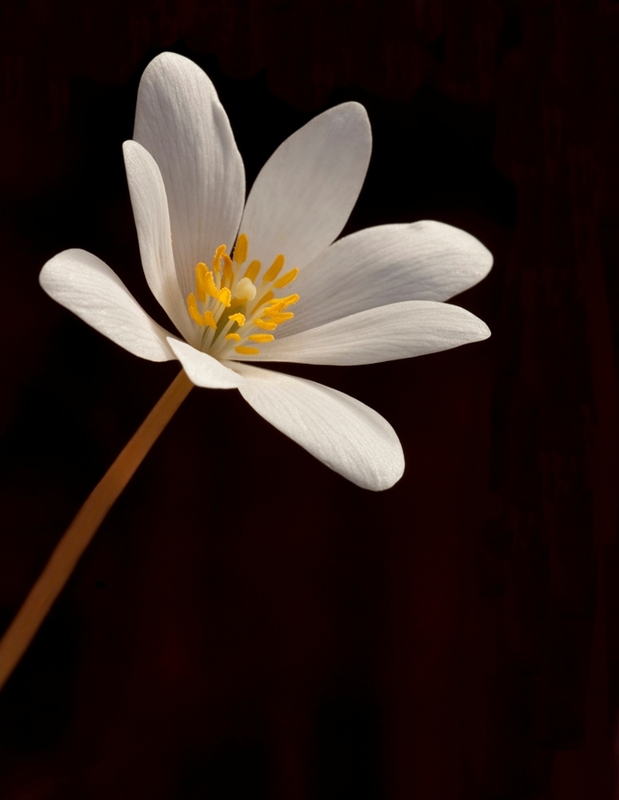 Sharon Doyle is a Board Member with the Cleveland Photographic Society. She has had multiple images selected as a “Photo of the Year”; which is the highest honor bestowed upon members of the Cleveland Photographic Society. 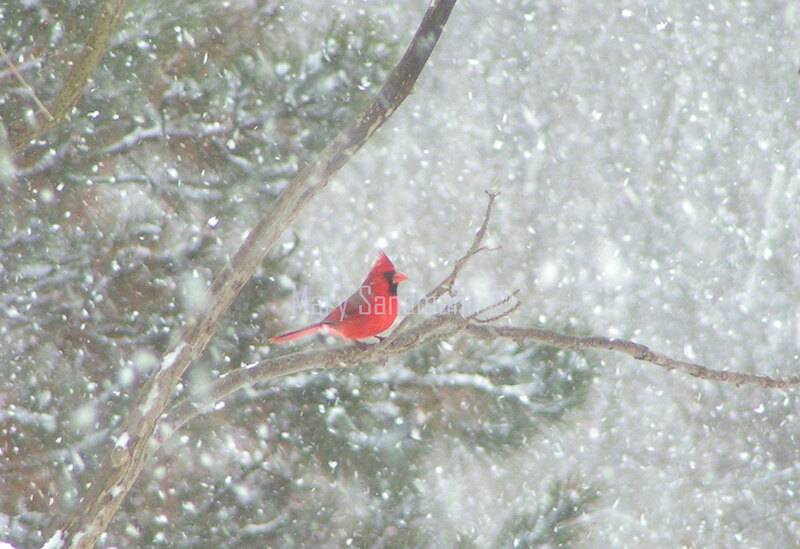 In 2003, Sharon began her photography career by selling photographs at local art shows. Since that time, she has had photos featured on the covers of a local magazine and published in a book. 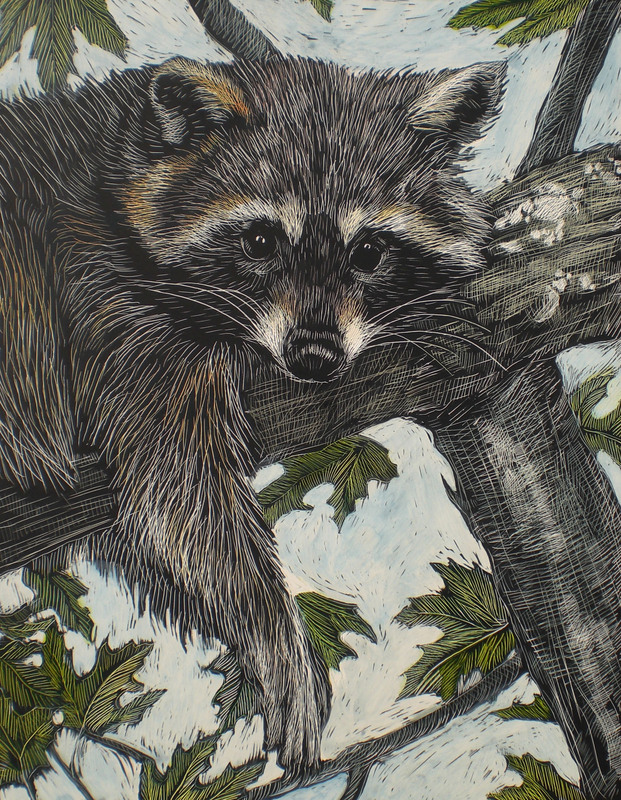 Her work has also been featured in numerous local exhibits. Sharon has no formal training or education in photography. She loves to take pictures of everything and she cherishes nature and wildlife the most. “Life is WONDERFUL, especially when seen through the lens of a camera.” For more information please contact Sharon at sharondoyle1@yahoo.com. Neil Doren first interest in photography began while in military service stationed on Oahu, Hawaii during the late 1950’s. The incredibly beautiful landscapes moved him to try and capture those images using transparency film. During the 1980’s, he began to travel, mostly to the Caribbean, Mexico and Tahiti, and was again inspired to photograph. In 1991, he visited his brother living in mid-coast Maine, who maintained a glorious garden during the summer, while weaving tapestries during the winter months. The visual beauty of his garden by the sea and the Maine Coast in general, so captured him, that he returned nearly every year to date. He purchased his first digital camera in 2000. By 2002, encouraged by response to some of my efforts, he joined the Lakewood Photographic Society and began to participate in their juried print competitions. Anxious to improve, he purchased new equipment (Nikon D-SLR) and has enjoyed the reception to his work and the awards that have followed. From 2003-2007, he actively presented his work in a variety of juried fine-art shows, exhibitions and competitions. Much of that time was spent studying fine-art printing, in the digital world, leading to a deep love of the printed image. 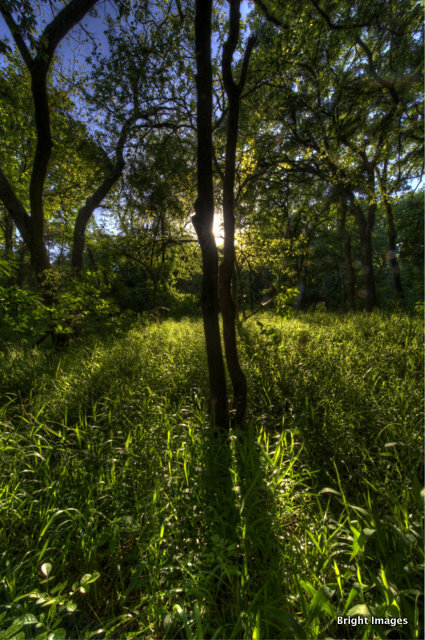 His photography interests are varied, although he heavily leans toward nature. Intentionally, he does not seek out specific subjects to photograph. He walks about with equipment in hand, and with eyes and mind open to the world around him, captures those images that call out to him. His initial reward is when the emotions felt at the moment of capture are faithfully revealed in the ensuing final fine-art print. The prints allow him to share those emotions with others. When viewers are able to feel from the finished print, something of what he felt at the moment of capture, his reward is complete. Visit www.neildorengallery.com for more information. Laura Gump is a lifelong resident of Cleveland, Ohio. Raised on the Westside, she is a National Honor Society Graduate of West Technical High School. Laura has two children, and is involved with various community programs in the Greater Cleveland area. She has received numerous commendations for her involvement and commitment to excellence in educational programs in the City of Cleveland. 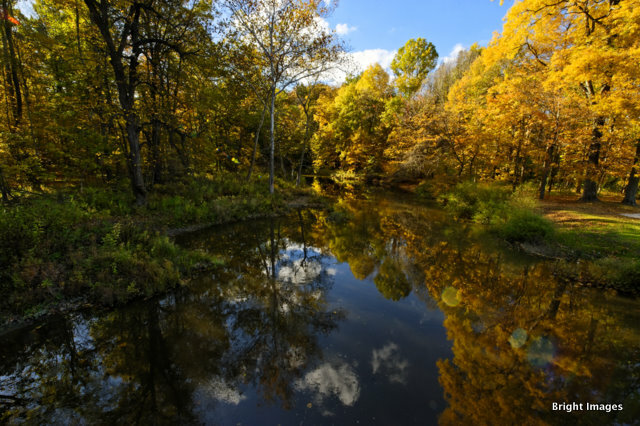 As an avid cyclist, Laura enjoys long treks through the Cleveland Metroparks trails, and a camera is always at the ready for that elusive shot. For more information please contact Laura at kat46@rocketmail.com. Shelly Hansel Born, raised, and still living ten minutes from downtown, Shelly Hansel's favorite photographic subject is Cleveland. 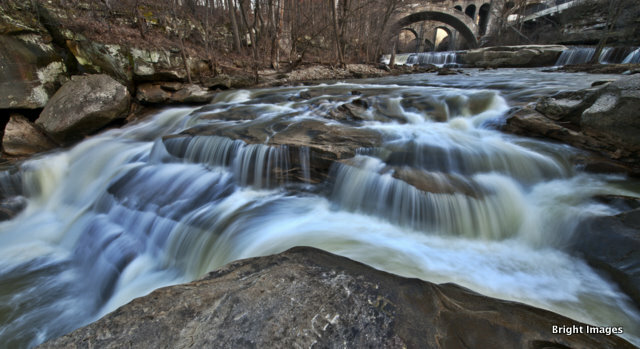 Her photographs have appeared in various local exhibits including the Cleveland State University Art Gallery, Cleveland Institute of Music, Brecksville Bicentennial Art Walk, and North Chagrin Reservation of Cleveland Metroparks. 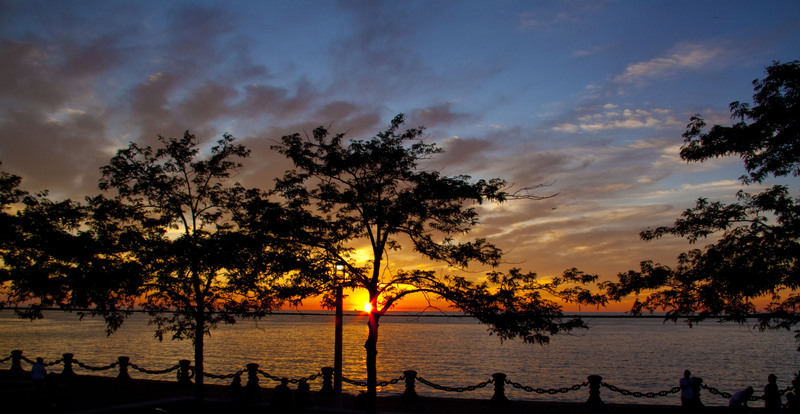 A member of one of the oldest camera clubs in the nation, Cleveland Photographic Society, Shelly shares her pride in her hometown through the lens and loves to realize that others also see the beauty she observes in Cleveland. 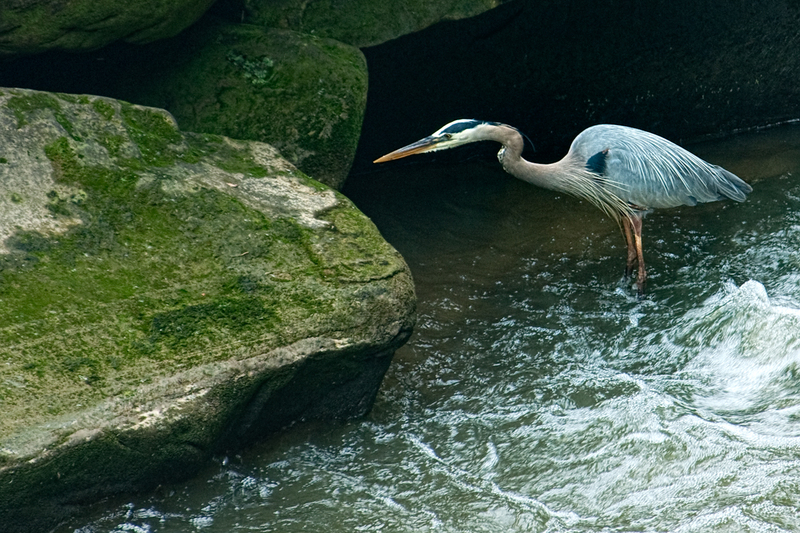 Says Shelly, "The vast majority of images I like to capture are of Cleveland and the surrounding natural area. 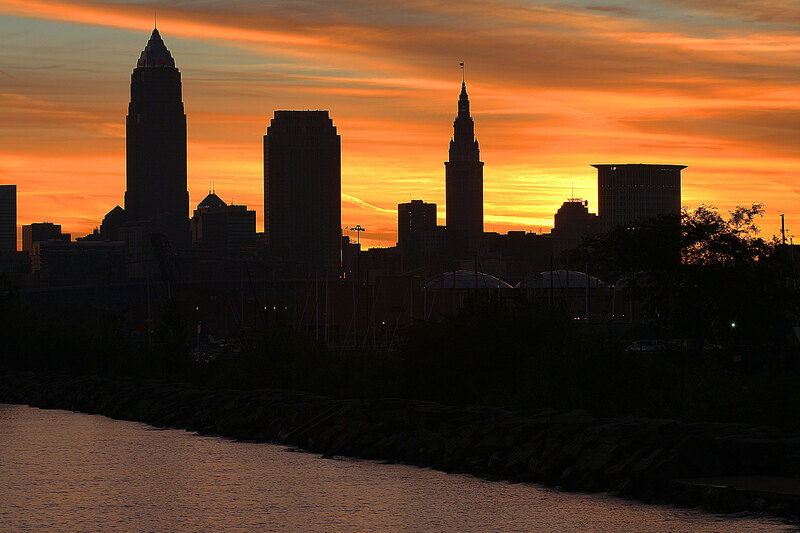 Greater Cleveland is rich with amazing sights, and as a die-hard Clevelander, 'shooting' the city and our park system brings me a lot of joy and calm at the same time. 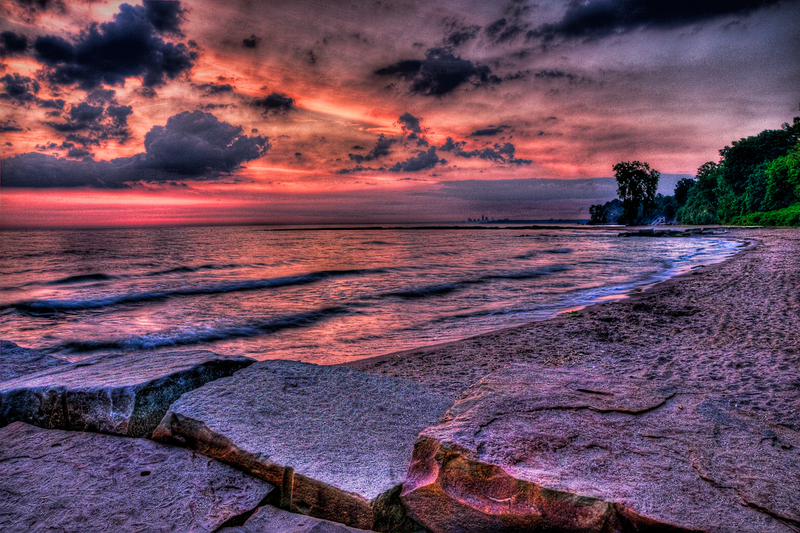 Cleveland rocks in every season, and I love trying to prove that through photography." Shelly Hansel is a high school special education and English teacher who shares her photography with her students and lives with her photo-tolerant canine, Leo. You can contact Shelly at shelly.photo@hotmail.com for more information. Edward Kamposek Edward Kamposek spent his earliest years in Cleveland and the greater part of his childhood in the suburb of Euclid. He received his Bachelor of Science and Master of Science degrees in Mathematics from Cleveland State University in 1984 and 1990, with some coursework at Indiana University. For the past 24 years, he has been working and growing at his position as Noise Compatibility Officer for the Cleveland Airport System. Edward is constantly reading nonfiction over a wide variety of subjects. 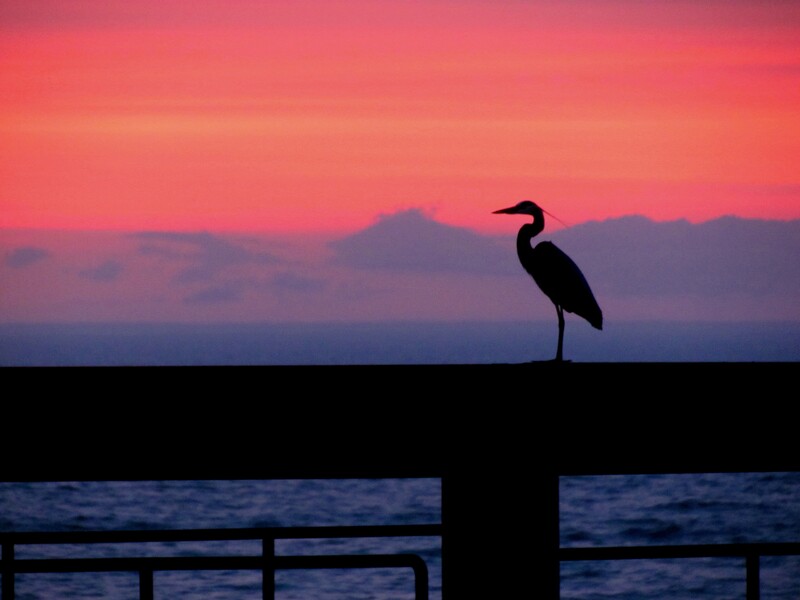 An avid birder since early on, his interest in photography began with a love of travel and blossomed after digital cameras made it possible to take an unlimited number of images at essentially no cost. Now he takes his camera with him most weekends while exploring nature locally. He explains that the two photographs of Horned Grebes included in the exhibition were the result of spending a few morning hours searching for a rare bird. 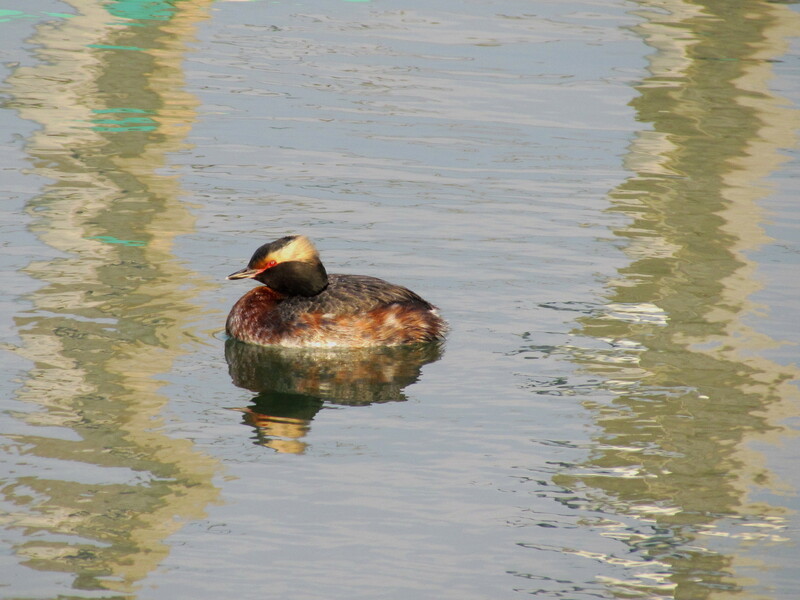 “An Eared Grebe had been spotted at the Gordon Park Marina. I sought the bird unsuccessfully during a Saturday afternoon in early April. 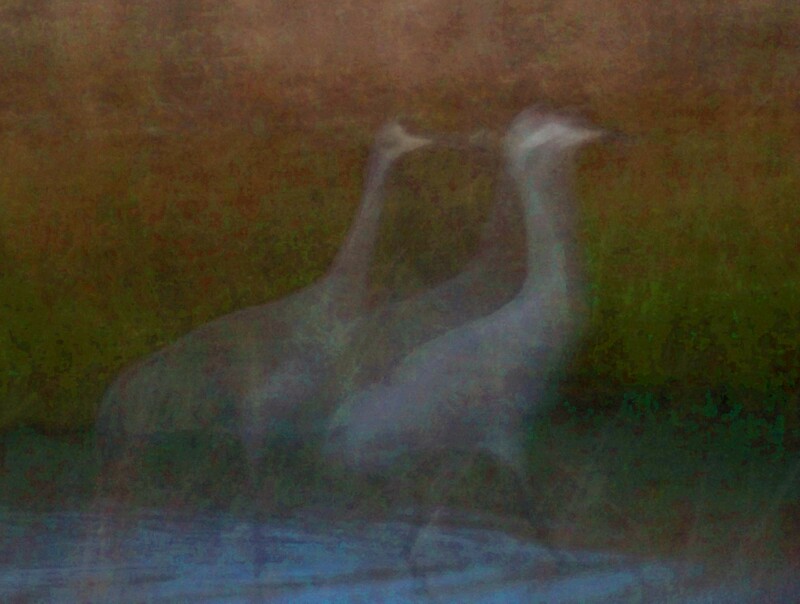 I learned late that day that it only had been seen close to shore during the morning hours. I resolved to look for it early the next morning. 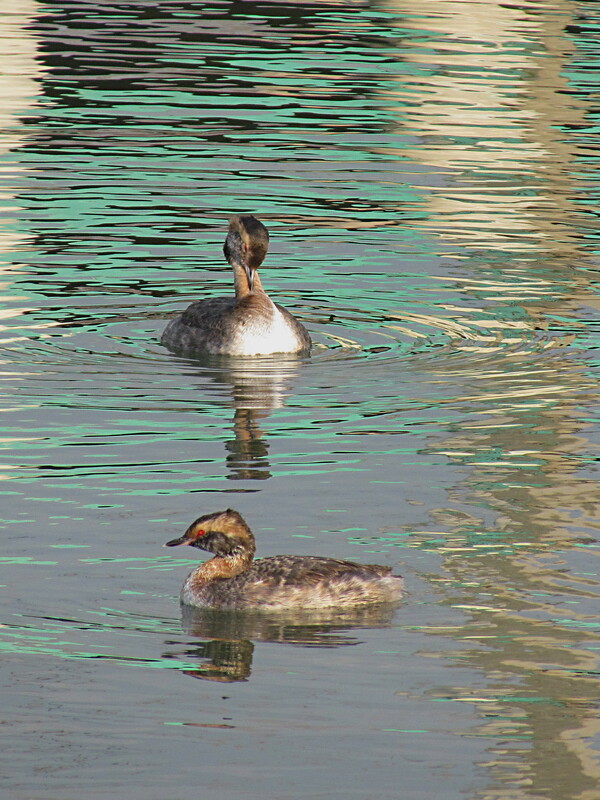 The Eared Grebe appeared that day but not until well after I had left. The morning remained worthwhile since I enjoyed photographing the more common migrants and their surroundings in a creative way.” For more information, please contact Edward at edak776@netzero.com. 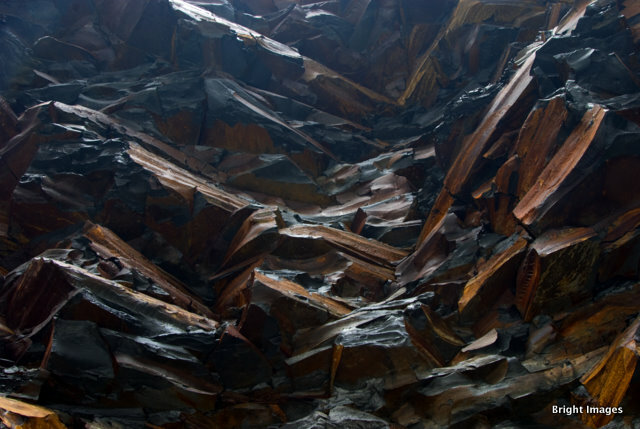 Upon completing studies at Ohio University, Denise Ivey Telep’s first mural commission came as a referral from her painting professor to an Athens, Ohio businessman wanting an elaborate mural depicting underground coal mining activities. Completing the project, and engaging her entrepreneurial spirit, Telep launched a Site Specific arts company to sustain her creative energies while working as a photographer for a professional photography studio. During this time, she received commissions from corporate and private clients on a regular basis. In 1986 she created Art Solutions, a clearing house for artists, uniting the art seeker with artists who accepted custom commissions. “Art Solutions” employed over 40 artists in various disciplines as independent contractors. A 1990 article in the Cleveland Plain Dealer featured one of Telep’s residential commissions and showed the process from sketches to final art. By then, her personal commercial commissions included not only many residential customers but also Cleveland firms, Kennametal, Inc., Conversion Treatment facility, Farro Enterprises and more. Gaining a reputation as a site specific artist, local interior design firms began commissioning Telep to produce artwork that enhanced their design concepts. Those commissions highlighted Telep’s special sensitivity to colors and themes conducive to healing. As a result, she has enjoyed many commissions in the medical and dental art fields. One of the largest murals Telep painted is the 2800 square foot Atrium cloud mural for hospice of the Western Reserve, in Cleveland, Ohio. Denise Telep’s painting “Easter at Rockefeller” is currently in the George Streeter Traveling Collection, benefiting The Center for Therapy through the Arts at MetroHealth Medical Center. In addition, in 2000, Day Spring Cards used Telep’s design as their 25th Anniversary Edition Christmas Card, reprinting it for the following 11 years. Telep’s experience reflects years of creating art in multiple styles, but her predominant personal inspiration is “representational abstraction”, her team describing the way a representational piece can appear abstract because vantage point and pictorial elements. 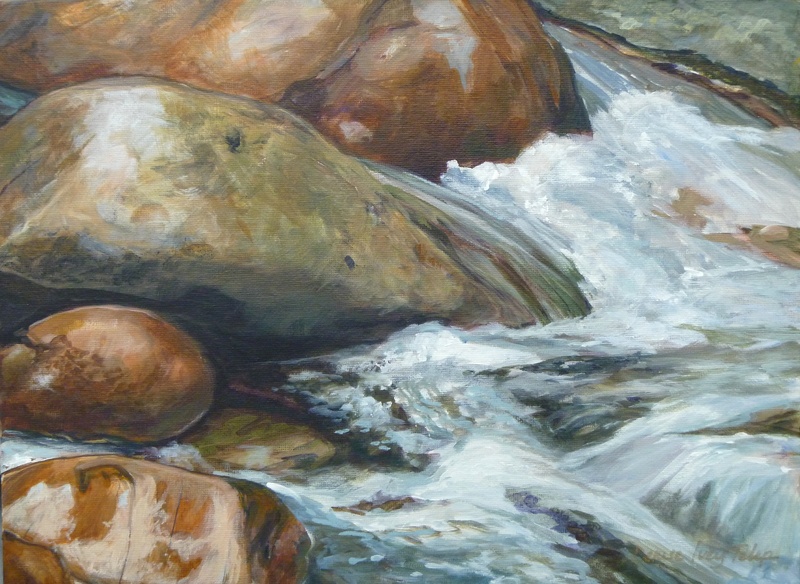 The Cleveland Area’s Metroparks system has been a constant source of inspiration for her “Environmental Disguise” series of realistic works that appear abstract, until further inspection, “Swirl”, “Asfault” and “Red Clay” predominates in the series. 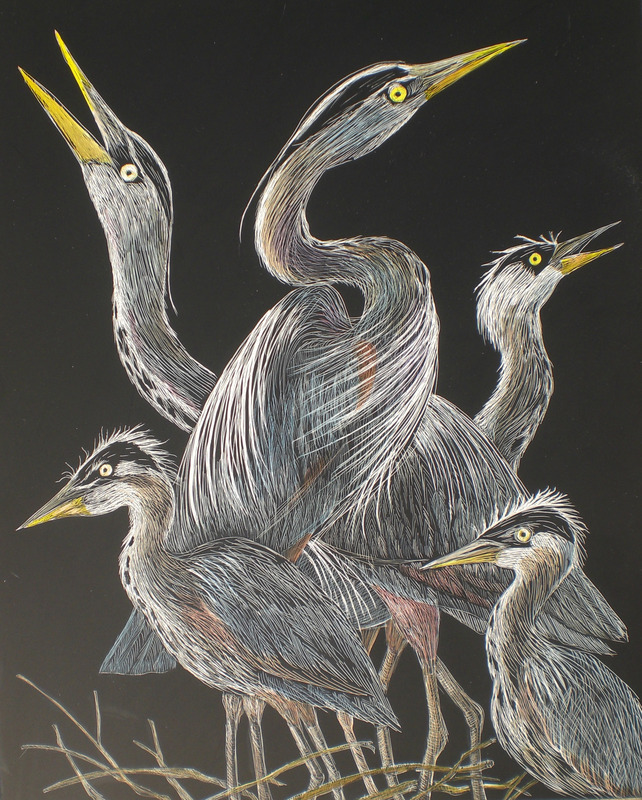 Denise Ivey Telep’s artwork can be found in many states and the US Virgin Islands, in private and commercial collections. For more information please visit www.deniseiveytelepdesigns.com. 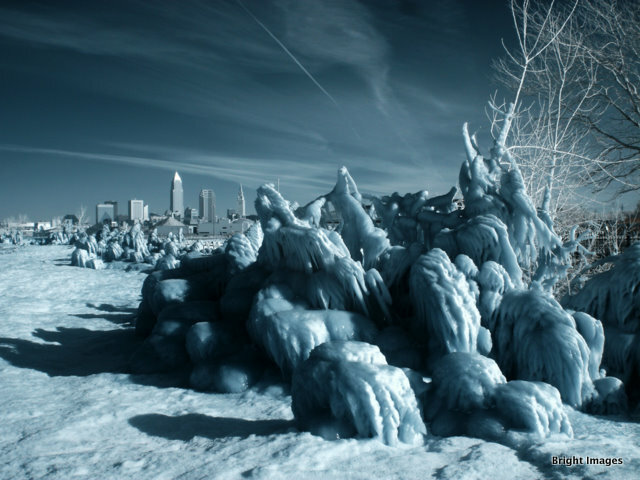 Wayne Mazorow a self-taught photographer, started photographing the landscape of northeast Ohio twenty-five years ago with a 35 mm camera, and has been using a 4x5 large format view camera since 1998. 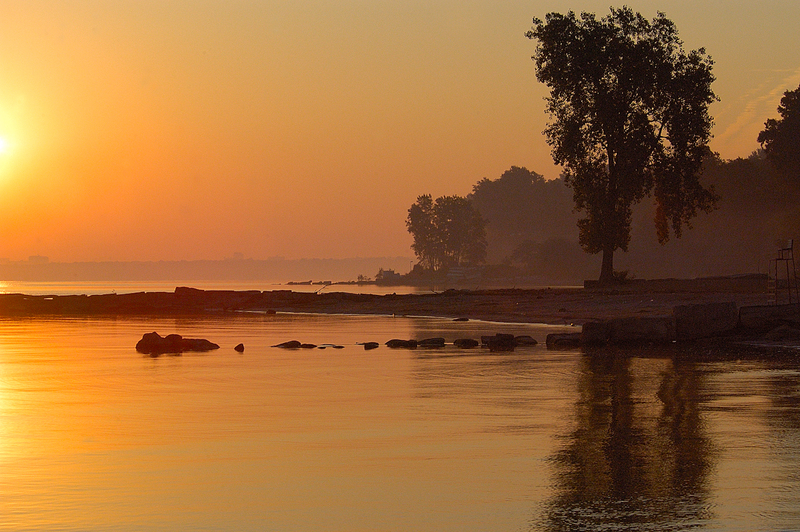 Wayne photographs the landscape in a traditional manner, showing the few remaining natural areas that are untouched and pristine. A 4x5 view camera was used to create the images selected for the CLE exhibition. 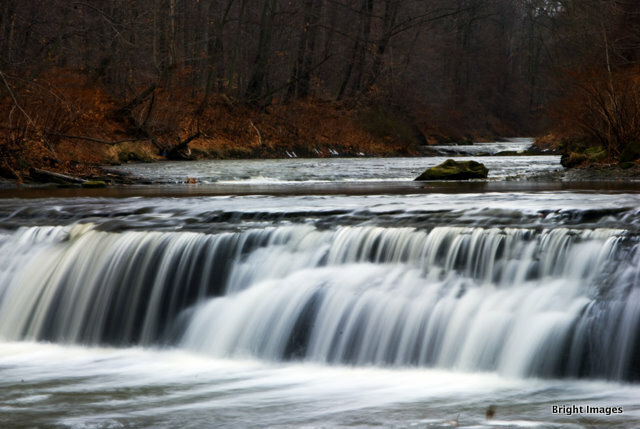 Wayne has had twelve one-person shows including Cleveland Museum of Natural History, Adirondack Lakes Center for the Arts, University Hospitals and Seiberling Gallery in Cuyahoga Valley National Park. 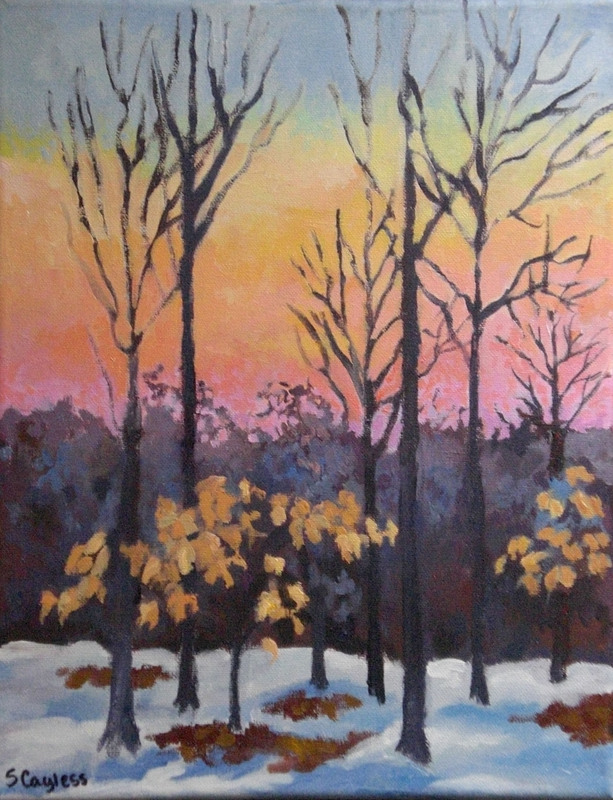 Wayne has exhibited in many of the local juried art shows, and has won awards in April Art Show in Gates Mills, Annual Fairmount Russel Art Exhibit, FAVA Six State Photography Exhibit, Jewish Community Center Photography Exhibit, Valley Art Center Annual Juried Exhibit, Geauga Parks Districts Nature Arts Festival and North Chagrin Nature Photography Contest. 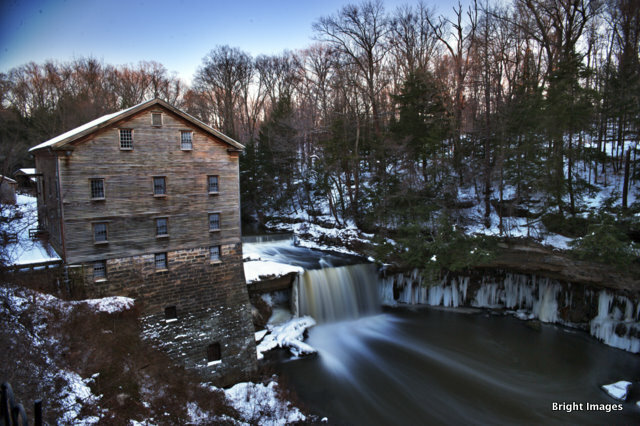 Wayne has also been continually publishing the Cuyahoga Valley National Park calendar since 1996. “I feel that I have successfully made a photograph when the two dimensional medium projects the feeling of a three dimensional space, the essence of an area is conveyed, and the viewer has the sense of being there. This is done through the use of light, texture, forms, tonal range of color and getting close to the subject. 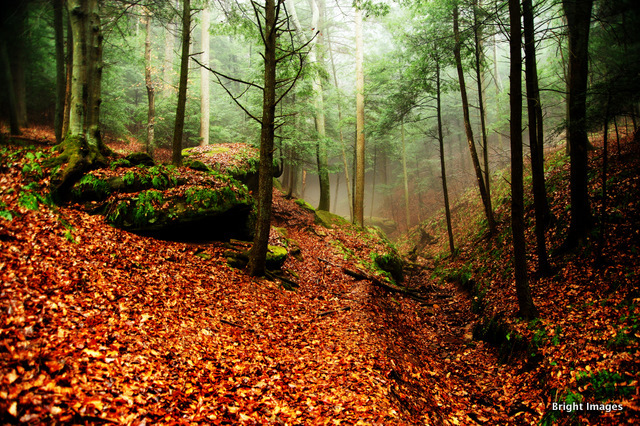 These images were made in the parks and preserves of Northeast Ohio, all are within sixty miles of downtown Cleveland. For more information please contact Wayne at wamaz@msn.com. 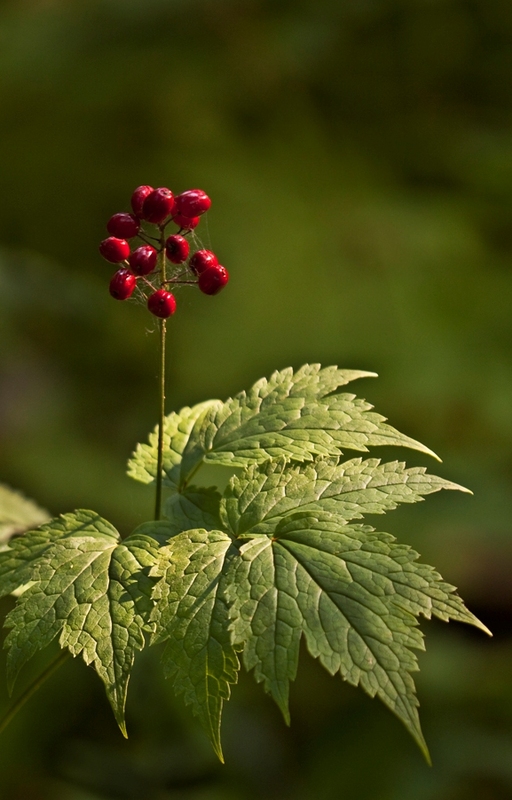 Jane Rogers is an Akron native who specializes in native plant and landscape photography. Rogers has a B. S. from the University of Akron, where she also taught in the Department of Education. She spent her career as a home economist working in the greater Cleveland area and now returns as a volunteer. Rogers' interest in photography arose out of her volunteer work co-chairing a wildflower rescue group. 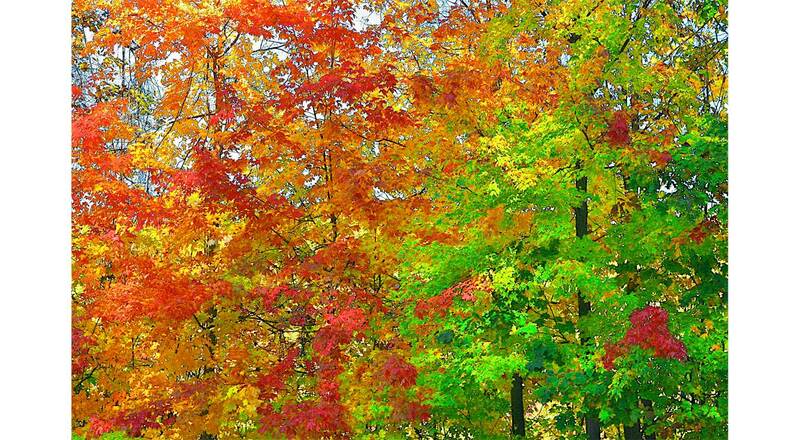 This volunteer effort has donated more than 120,000 ethically rescued native plants to public parks and gardens all over Ohio. Rogers then returned to her alma mater to study with Cleveland photographer Penny Rakoff. 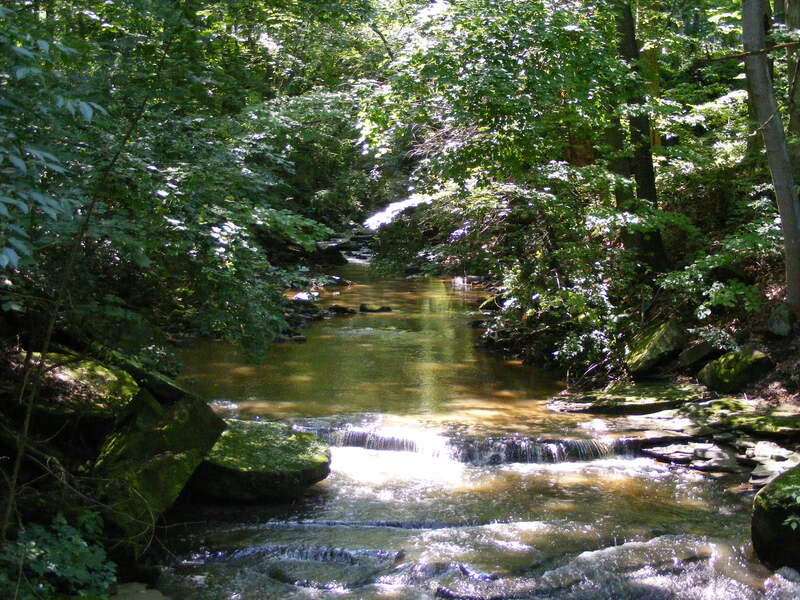 Rogers lectures across the U.S. about native plants and their conservation. She writes and photographs for national magazines and online publications. She has documented gardens for the Smithsonian Archives of American Gardens. 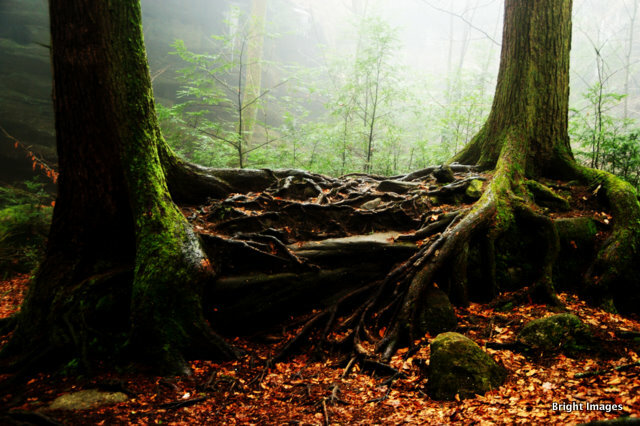 Rogers, along with a poet and fine artist, has formed an exhibit dedicated to the preservation and conservation of Ohio's woodlands titled, Three Women in the Woods: Words & Images. 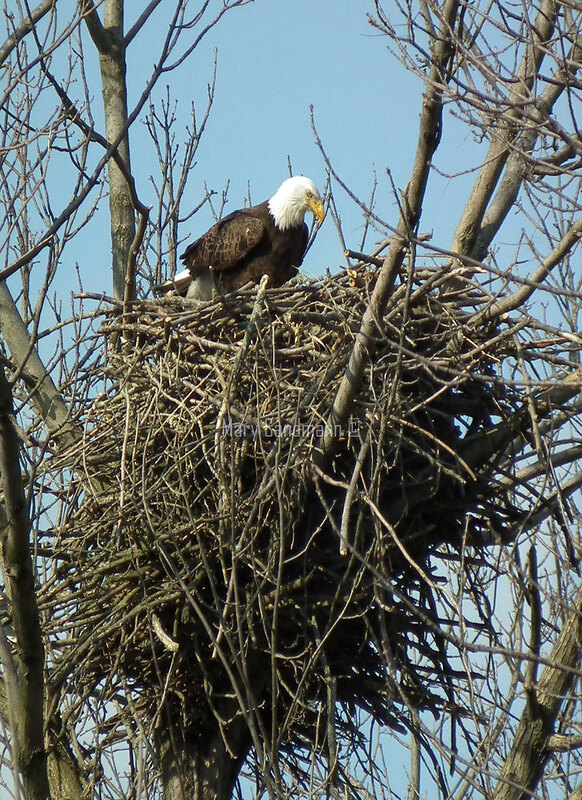 Their exhibit has been featured at arboretums, Audubon centers, Cuyahoga Valley National Park and elsewhere. 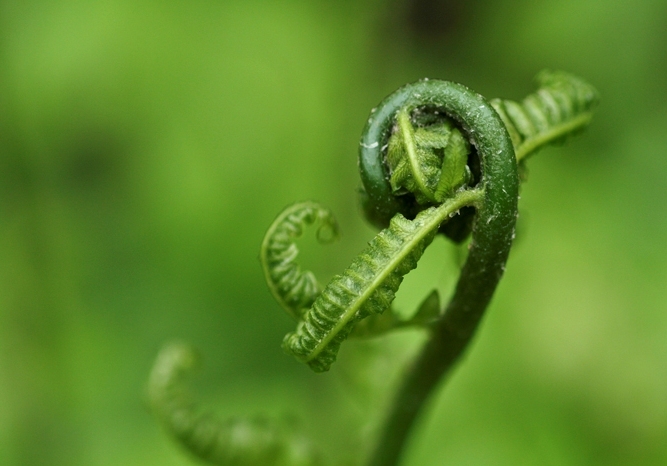 Rogers attempts to capture portraits of native plants not only to portray their botanical details but also to preserve their ephemeral beauty in hopes of helping the conservation of wildflowers in their natural habitat, including Cleveland's Ring of Green. Please contact Jane at jrogersgarden@yahoo.com for more information. 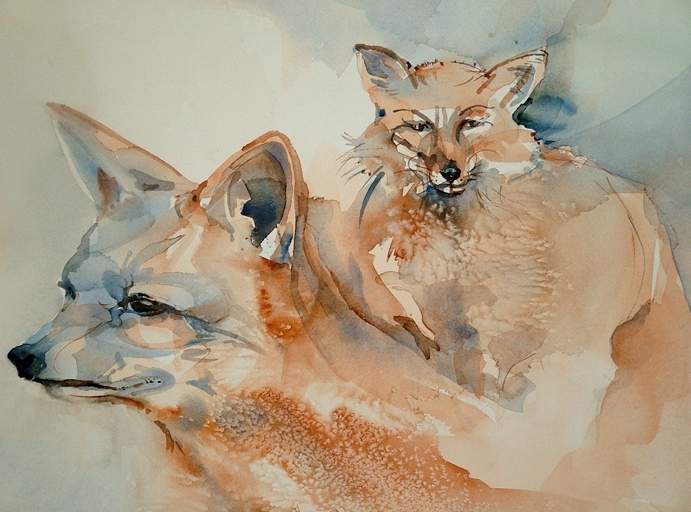 Patricia Hanahan Sigmier is a watercolorist who also enjoys many other types of media. Sigmier teaches watercolor at the Beck Center for the Arts in Lakewood and a plein air painting class for Case Western Reserve University’s continuing education department. Her work has been exhibited in many galleries, including the Butler Institute of American Art in Youngstown. 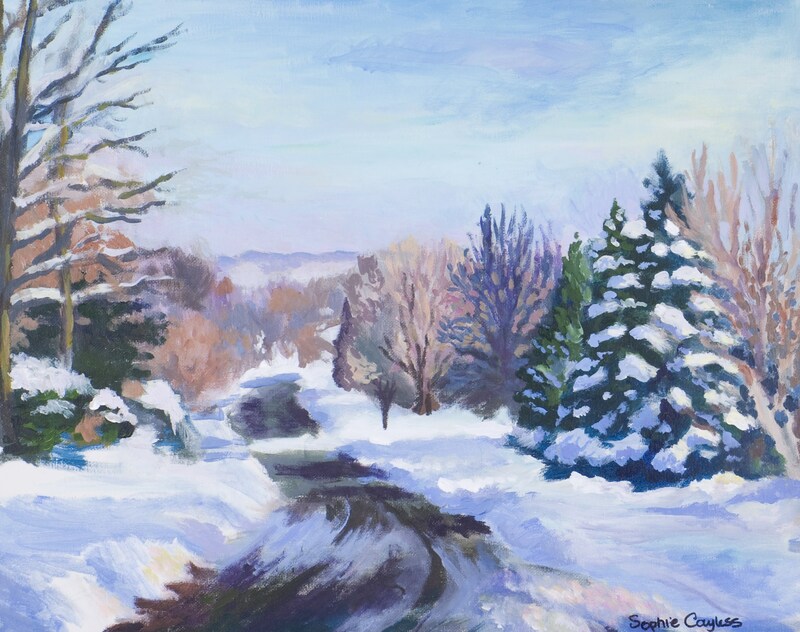 Sigmier is a signature member of the Ohio Watercolor Society (OWS). In 2005 she won the OWS North Coast Award in watercolor. Sigmier is also an enthusiastic community arts supporter. Artist Statement: “My art education began early in life, with the influence and encouragement of my mother, an artist, and my father, an architect. From learning, creating, to reaching, I enjoy many types of media, but especially watercolors. Mawele Shamaila. My name is Dr. Mawele Shamaila, and I am a Food Scientist working for Nestle R&D in Solon, Ohio. I was born and grew up in Zambia and moved to Canada in 1982 and into the USA in 1998. 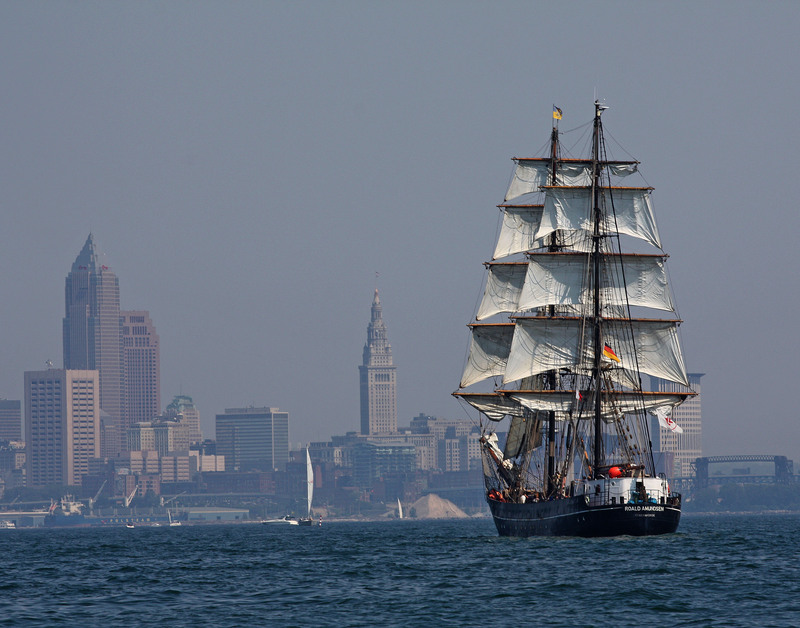 I started photography in 2008 and took a class with Cleveland Photographic Society to which I belong as a member. I have improved my photographic skills by entering competitions and just having passion for photography. I have a website (www.mawele.smugmug.com ) and regularly get about 5,000 visitors per month. 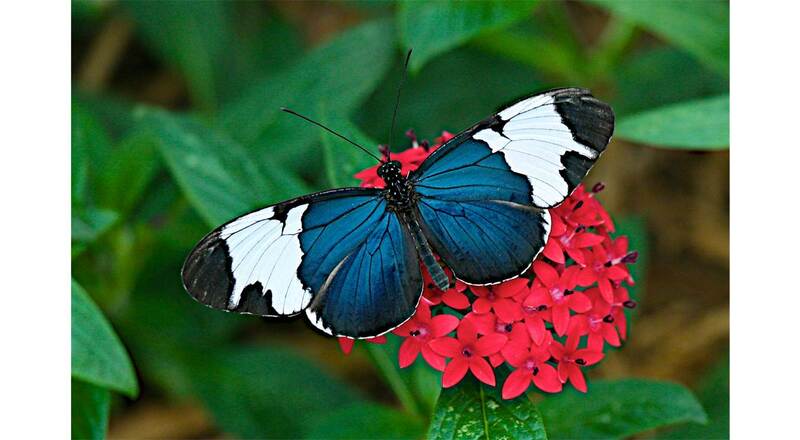 As young as 8 years old, Mimi loved to photograph things. After she and her husband Terry had their daughter, Megan, she became the main focus of Mimi’s photography. But Megan grew up and Mimi’s interest turned to capturing the natural world around her. Mimi and her husband developed their own yard as a habitat for birds (especially Bluebirds) and the Monarch Butterfly. 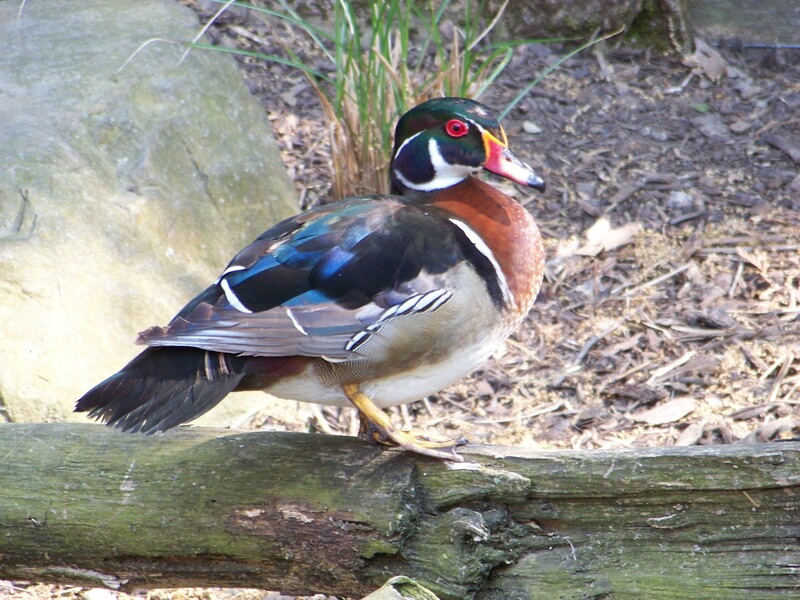 In fact, they have received Backyard Wildlife Habitat Certification from both the Ohio Division of Wildlife and the National Wildlife Federation. Their property was also certified by the University of Kansas as a Monarch Way Station to help with the conservation of the Monarch Butterfly. Mimi is an award winning photographer who has had many of her photos published. Her photos can be found in many private home and corporate collections throughout the United States, England and Australia.